We know how the plates were translated and it was not how we thought! No we really don't. Non members will find the story of translation with the seer stone no more or less compelling than any other story. Could you produce a translation In the method described? Could the people describing it? What we have is recollections from a group of people close to the prophet who could not translate describing what they understood of the process they observed. These descriptions do not always agree but ultimately they are all second hand and limited in their scope. Ultimately only Joseph understood how the process really worked and there is some question if even he understood it very well. When questioned on the matter by none other than his brother and confidant Hyrum he was not inclined to discuss it. No we really have no better idea now than we ever had. Joseph didn't use the Urim and Thumim! Oliver may have had very brief success translating (28 words in Alma 45:22) and would probably be best to describe the process, though he ultimately could not continue. He also never saw the plates during his attempt. Perhaps his understanding of how to use the stone is why Joseph eventually gave it to him. Oliver does not give us many details of how the translation process worked and besides Joseph was in the best position to understand it. Joseph may have not initially planned to translate the plates but may have hoped a learned man would take over the task. Martin Harris once tested Joseph by swapping out his seer stone with a different stone and Joseph declared something was wrong and that everything was “dark as Egypt”. 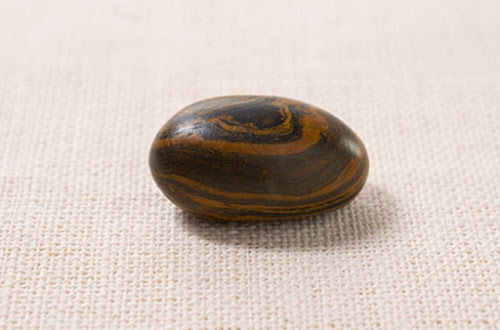 It has been well known the seer stone was in the possession of the Church. It was used by Wilford Woodruff at the Manti Temple dedication. This Dialog article I think may have been my first introduction to the larger story published in 1982. It is well written and covers most of the data in the recent Church article as well as some additional stories. Much of the miracle was the production of a lengthy complex text with no revisions, just dictation over about 90 days, by a man who not only had never written a book before but had never so much as preached a public sermon. Joseph would produce more scripture but never anything even similar to the length and complexity of the Book of Mormon. By comparison translations of the Bible and Book of Abraham show years of a slow process not the sudden revelation like the Book of Mormon. Whether one accepts the Book of Mormon as an ancient record or the work of Joseph Smith's mind seems irrelevant to the discussion. Where did the book come from? The complexity of the plot, the diversity of the theological discussion, the subtle literary devices leave one at a loss to explain its origin and the earliest doubters immediately looked to find a source other than Joseph for its text. Alexander Campbell a great preacher of his time said “This prophet Smith, through his stone spectacles, wrote on the plates of Nephi, in his book of Mormon, every error and almost every truth discussed in New York for the last ten years.” Thus he attributed to Joseph a theological aptitude well beyond anything that cold be reasonably explained. Seer Stones are Just Folk Magic! I am not even sure what this means. Use of physical objects for divination is well attested in scripture and every ancient culture. Joseph of Egypt used a cup for divination, Gideon used fleece, apostles in Christ's time cast lots, Lehi used a director ball he found one day, Aaron and other tribal leaders used their staffs, temple priests used the Urim and Thummim. If by “folk magic” we mean something science and modern sophistication rejects as primitive and unworthy of our consideration then yes seer stones are folk magic just like prayer, visions, inspiration, ordinances, temples, etc. These Items Have Been Kept Secret! If by kept secret we mean hidden inside reputable history books, Ensign articles, Encyclopedia of Mormonism and all over the Internet, then yes they are kept secret. The exact means of translation is not a core gospel truth and the Church focuses its message to the most core information that will benefit its members within the very short attention span of the average member. There are a multiplicity of accounts where these issues are discussed at length in both official church publications and other books available through Deseret Book and other venues. If you want to know church history I suggest you start reading history books. I promise the journey of reading history is its own reward. But please understand that history is not the same as faith inspiring messages delivered by our leaders. When we speak of our past we simplify and reduce the stories to their most essential elements so we can focus on spiritual principles they illustrate. Many details are sacrificed in this process. With history we perform the opposite. We ignore spiritual significance to learn all the details and construct the “whole story”. This often includes many aspects that highlight human weaknesses, dull interpersonal relationships, confusing contradictions and cultural context. It takes a great deal of time and effort to synthesize both these views in the mind of the believer such that the power of the story is not lost nor is the richness of the experiance. At the end of this journey lies the deep understanding many desire but can only be achieved through serious effort. Still if you desire furthe light and knowledge it is there for the finding “out of the best books by study and also by faith”. I love your work. You must have had an amazing mother. But that is not near enough to have brought you to the understanding and knowledge you have attained. It is an inspiration to all who would follow the Savior. I liked this post. You have a great blog!! !